I have recently been involved in numerous Drupal websites of varying sizes. I develop in and customise a popular open source Content Management System (CMS) called Drupal which is suitable for any size of website, and is fully scalable. I have developed e-commerce websites, large multi-language websites, user oriented websites, and even my own website. 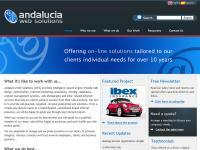 See Drupal projects also from Andalucia Web Solutions which I also produced. On the 28th and 29th of August 2008 I attended a Drupal for Developers training course (by nobleprog.co.uk) which certified me as a Drupal Developer (acknowledged by Drupal community, there is no official qualification). Bodeboca is the first private sales store in Spain and voted the best online store by the Guía Peñín in 2014. 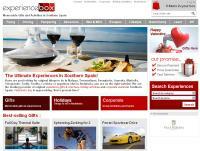 It is the most innovative and most popular online store for wine and gourmet products. I am the lead developer in a team of 4 managing the website’s extensive new features every month. It is a multilingual, multisite Drupal installation with millions of visitors every year. It integrates with many external systems and provides an API for many other systems such as the iOS app. GNSO is one of the main groups of ICANN in charge of policies involving top level domains. ICANN approached us with the task of making their website more accessible to the public. They came with a complete specification document and wireframes and asked us to build a Drupal theme that would “drop in” and work given any content or layout as most of the site would not be built until after the contract ended. The theme had to work with little or no modifications later on, and work in 8 different languages including Arabic (RTL). This client started out with 60% of the website already built by another developer who was only able to apply functionality that modules already in existence could do. The website required more complicated development, custom modules, and advanced tweaking to complete. This website has quite a simple front end allowing you to search from a database of resorts with simple information displayed with CCK, Views, and CCK blocks. The majority of this website is in the back end which basically runs the management of several hundred properties. 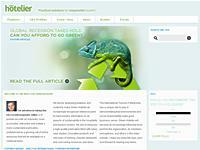 The client required a system that would both manage her website, her clients, and their properties. The structure of the different elements needed careful planning to make sure that once set up and running with lots of content, there would be no problems requiring lots of migration work. This client has a dedicated server and required a Drupal website and template setup that could easily be copied for generating many mini websites. For this I installed Drupal as normal but configured to work as a multisite installation. As well as this, I created an install profile so that for every website, I only need to run the standard Drupal installation wizard and it automatically installs all the configuration of the first website, including the theme setup and some content and blocks. I was contacted by ILN (http://www.iln.co.uk/ILN) and asked to help with a website that they had a very short deadline on. I was asked to set up Drupal, configure it, build the sections - each with unique functionality, and implement an html design all in a short period. The actual project took 2.5 days in the end, I am still quite impressed at how quickly I was able to complete a Drupal website from scratch. This website uses around 60 modules and has some very interesting features, I actually pushed the boundaries of my Drupal knowlege and abilities throughout the course of this website.